Dredging Contractors to the Mining, Marine, Port and Harbours Industries. We have dredged a combined total of approx. 50,000m3 from the Novara, Dawesville and Parkridge boat ramps as well as clearing siltation from the Mandurah canals three times, Mandurah marina twice, Dawesville marina, Eastport canals, junior sailing club and Northport canals. We also dredged the Sticks Channel which was cleared and widened by us some 20 years ago. We cleared 3 km of mainly offshore channel and pumped all spoil through submerged lines to an offshore disposal point including boosting. Three separate contracts have been successfully performed by us since 1985, each of around 20,000 cubic metres. We have removed 11,000m3 silt from the entrance channel in sometimes difficult sea-state and currents. A second contract for 30,000m3 just completed. We performed 3 different dredging campaigns each approx. 50-70,000m3. 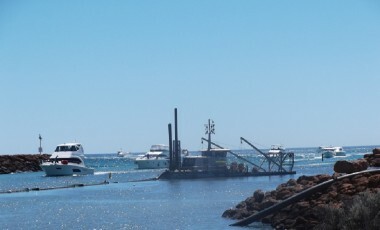 We dredged to either an off-shore disposal point or the Harbour precinct by boosting across the Fascine entrance channel to a disposal point 1800m from the dredge. This project can have very difficult sea state and currents. 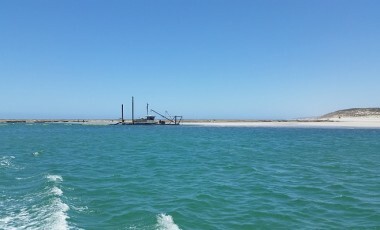 CGC are the only dredging company to have completed this project each time without significant problems. 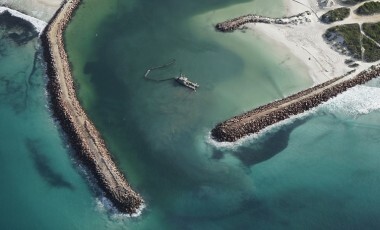 We have performed maintenance dredging in the harbour and the entrance channel alignment a number of times. We deepened the existing canals by removal of rock spalls from the hard rock floor. At the same time we dredged some sand accretion from the entrance channel. The total canal area was 23,500m2. We removed approximately 17,500m3 of sand and silt material from an existing channel 2.3km in length and formed an offshore island. We dredged approximately 7,000m3 of drift sand and natural clay floor from along the sides of the slipway to stop the ingress of drift sand.